As a master mixologist, you need the right cocktail glasses to take your drink service from fun to funky. 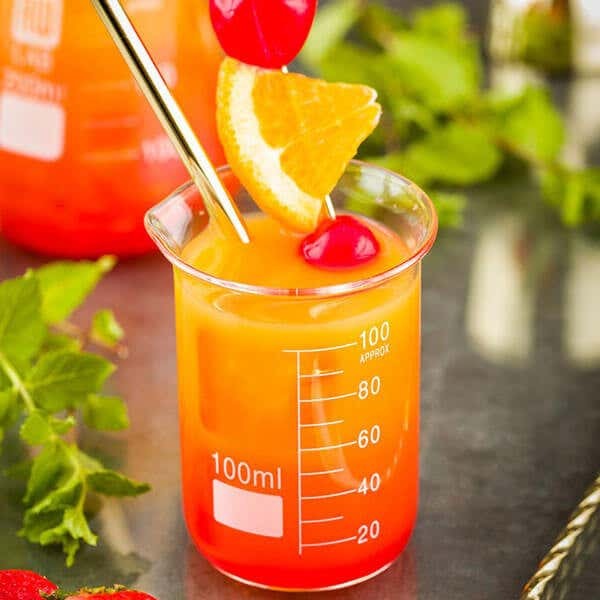 That’s why Restaurantware offers these uniquely cool chemistry lab glasses and labware to mix your drink recipes with an artful mad scientist flair. Our bar flasks and lab beakers add a fun dimension to every cocktail that otherwise ordinary glasses just can’t pull off. Available in 200, 100, 50, and 25 milliliter sizes, this unique collection of barware make for the perfect serving vessels for colorful and imaginative signature drink concoctions. Make every cocktail party, catered event or happy hour a memorable experience while turning your cocktails into fabulous drinks that’ll have everyone talking. Mixology is an art form that many try, but few truly master. 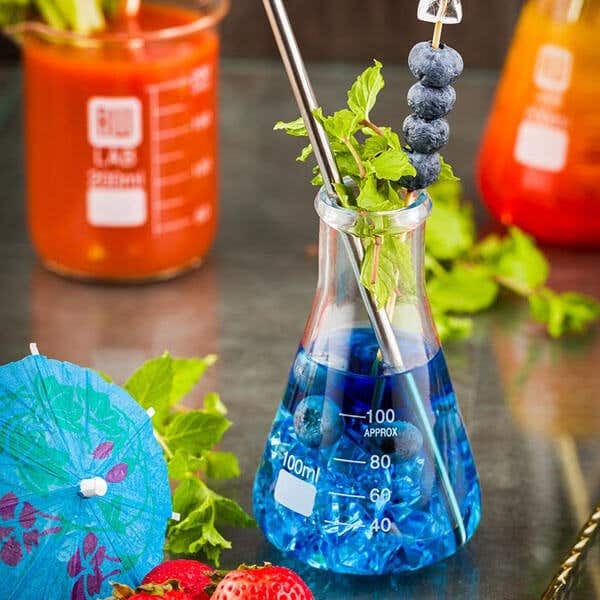 Show your guests and customers what a spirits-wizard you are with this cool and trendy labware and bar lab glasses from Restaurantware.